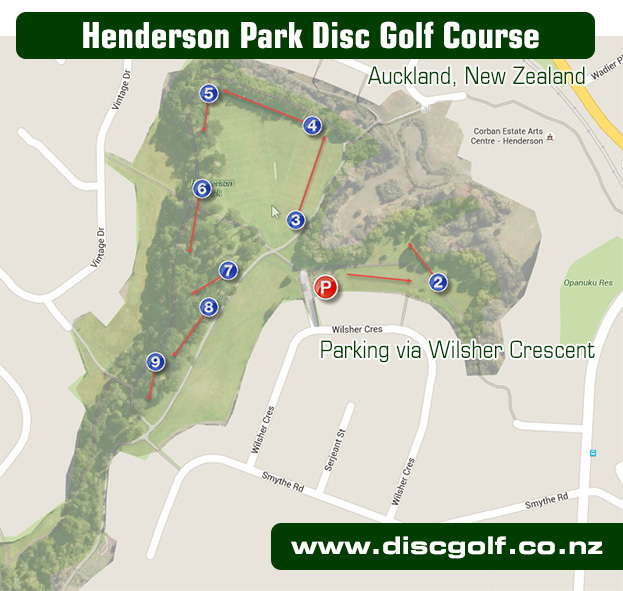 2016 and another fine Simon Feasey designed course has opened in Auckland continuing the momentum of Disc Golf Courses on Auckland Regional Parks created by the establishment of the Waitawa Disc Golf Course in 2014. 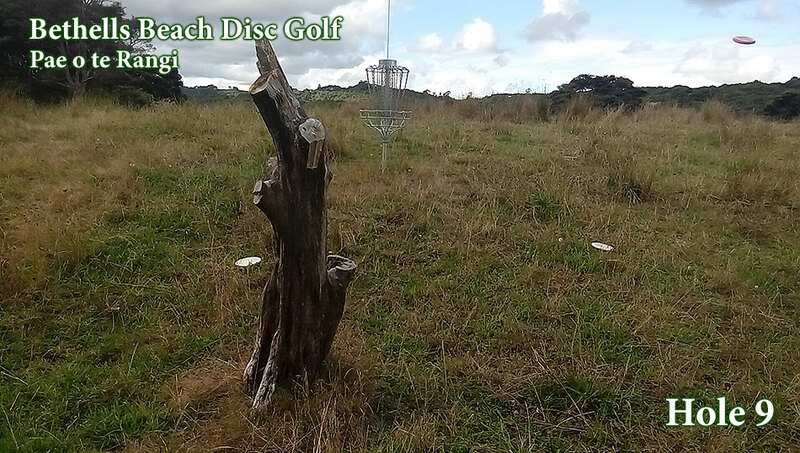 Whilst Waitawa is situated in East Auckland, the Bethells Beach course is located out west in the glorious Waitakere Ranges. Whilst not officially opened yet the baskets and tees are there so you can still play a full round. This is a park with cattle roaming the paddocks for wear appropriate footwear (ankle support for the rough ground). There are many out-of-bounds and often long grass so it is recommended you have spotters on most holes. 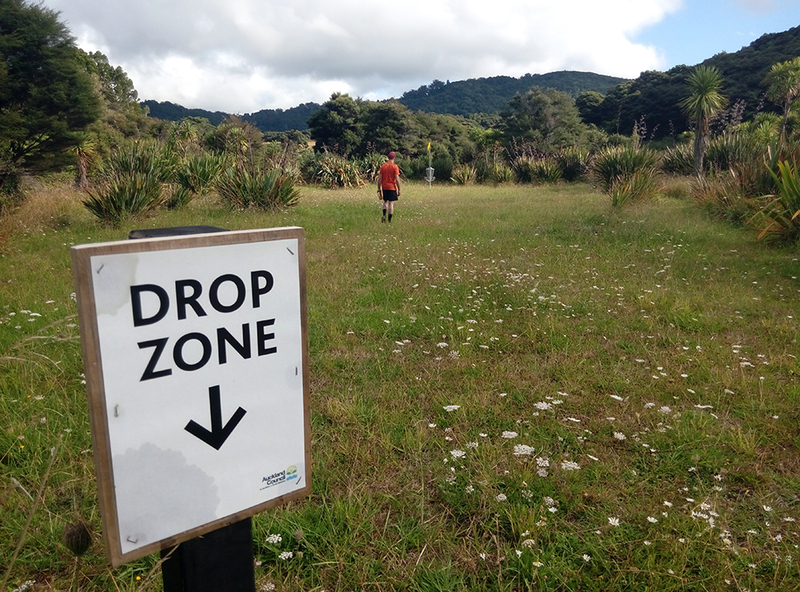 Simon Feasey continues to coordinate this project with Auckland Council, stay tuned for updates. 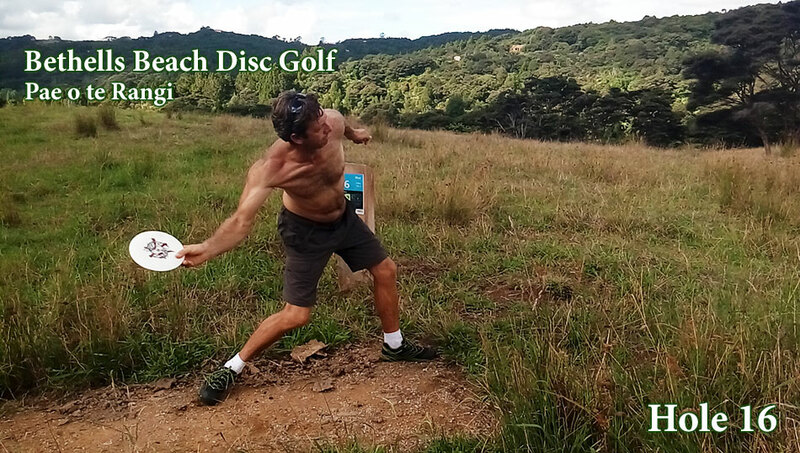 Bethells Beach Disc Golf Course - 114 Te Henga Road open 7:30 am - 7pm winter, 7:30 am - 9pm summer. The Course - Simon has created this rough draft - it should be enough for you to find the tees and baskets until full signage is installed. 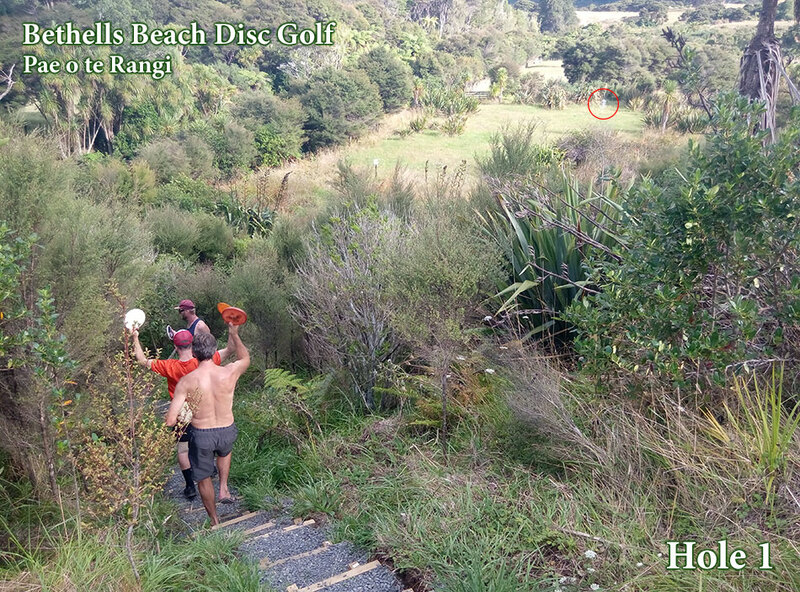 Happy Golfers - Simon and friends were stoked to see the stairway built for them to get down to the first green. 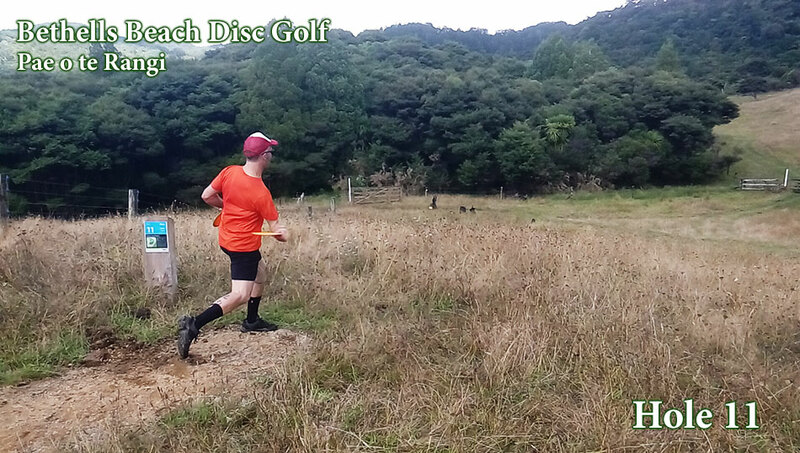 What a crazy hole to start with - any deviation short/left or right will mean a long search for your disc. Make it accurate!. No Need to be Stumped - Most baskets have council-supplied flags on top to help you zero in on your target. Great stuff. 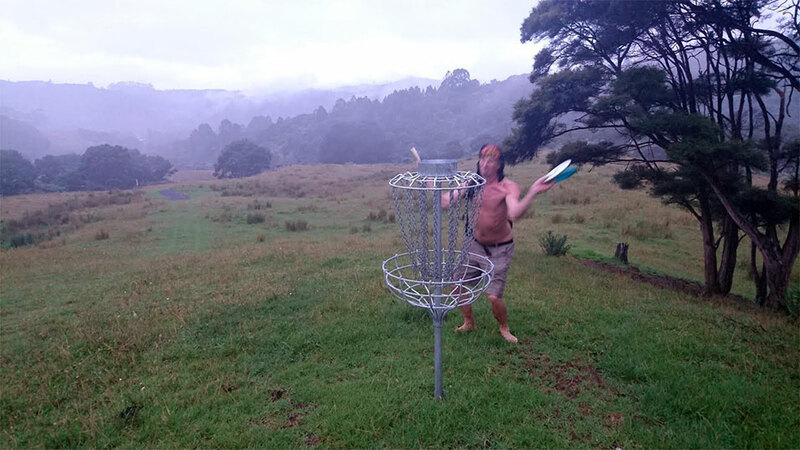 Hugh Jarm - German golfer and 2016 NZ Disc Golf Champion Moe D contorts for power on the huge 11th: 292m dogleg! Downhill Run - Once at the top of the park, the course descends with a mix of short and long holes, testing your power control and accuracy. 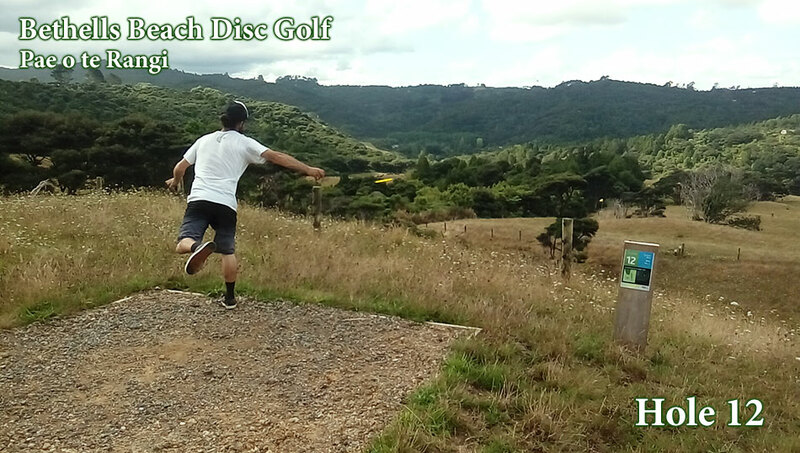 Ripple Effect - Course designer and multi-NZ Champ Simon Feasey shows just one of his many throwing styles on hole 16. What a View - Surrounded by NZ native bush, this is a wonderful get away from it all. Click the image to view full size (opens in new window). Open Terrain - Despite inclement weather, Lance is buzzing about this new course. Henderson is a major suburb of Auckland, in the North Island of New Zealand. It is located 13 kilometres to the west of Auckland city centre, and two kilometres to the west of the Whau River, a southwestern arm of the Waitemata Harbour. Enjoy!